My first DOCTOR WHO audio adventure is now available on CD or as a download from Big Finish. 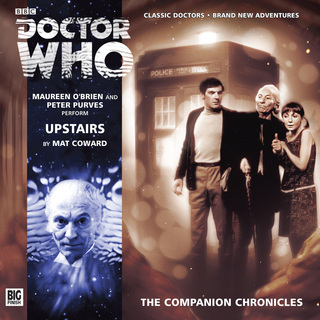 It's a story of the First Doctor, performed by Maureen O'Brien (Vicki) and Peter Purves (Steven), set in the labyrinthine attics of a house in Victorian London. Fortean Times magazine has published its first collection of 55 of my "Mythconceptions" columns, illustrated by Hunt Emerson, in a paperback "magbook" at £6-99. Suppose all the monsters in the world went on strike ... Till You Drop - a novella about zombie capitalism! Available as an e-book from all usual outlets, or direct from Smashwords. If you buy a paperback book from this website, I’ll let you have any one of my e-books free from Smashwords. Just email me via the “quick links” panel to let me know which one you’d like. You can find them listed here. My new collection of crime short stories, You Can Jump & other stories, is out now as an ebook, and as a paperback - to order the paperback please click on "Buy my books here," above. Cats & Crooks, an e-book collecting nine of my best "cat crimes" stories, is now available in most formats and from most sellers, or at Smashwords. My first book, published by Gollancz in 1995, was a collection of funny press cuttings called Cannibal Victims Speak Out. 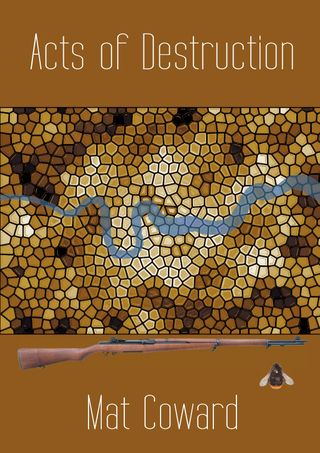 It’s been out of print for years, but I’m pleased to say it’s now available, extremely cheaply, as a multi-format e-book at Smashwords, or from your usual e-book supplier. The paperback of my children’s novel, Soother’s Boy, sold out some time ago - but due to a sudden increase in demand, it’s now been reprinted. Please click on “Buy my books here,” above, for details of both the paperback and ebook editions. On sale now, for the first time ever in paperback: Open and closed, the fourth novel in my DI Don Packham and DC Frank Mitchell series of police procedurals, and the only one not previously paperbacked. Now, thanks to the Authors Guild’s excellent “back in print” programme, this book is available worldwide as a trade paperback. For details, please click on ‘Buy my books here,’ above. It's also, as from January 2014, available as an ebook, from all the usual outlets. THE PLOT SO FAR is an ebook, collecting around 100 of the best gardening columns I've written for the Morning Star since 1993. All proceeds from the book go to the Fighting Fund, to help keep "the Daily Miracle" coming out every day. You can buy it in most formats and from most ebook outlets, or direct from Smashwords, price $3-99. Please do! I think most people realise now that capitalism is over and that, willingly or not, we are currently in the process of moving on to whatever comes next. Nobody seems to have written any fiction about it, though - if you don’t count dystopian pictures of a hellish, hopeless future, which, give or take a few technological details, could have been written at just about any time in the last hundred years. In 2002, I had a short story published in a Crime Writers’ Association anthology; it was called Back to the land, and was a police procedural set in London, twenty or so years in the future, in a post-peak-oil world of food shortages and slow transport. My aim was to write something that was neither utopian nor dystopian, but which gave some idea of what a society might look like that was coping with the kind of future we are, it seems reasonable to suppose, all facing. Or one version of it, at least. Acts of Destruction is now available, as a paperback and as an e-book. Please click on ‘Buy my books here,’ above, for ordering details. It’s often been noted, down the centuries and across the world, that a man who has something to smoke and something to read can survive almost anything. Detective Constable Thom of the North London Serious Crime Squad had the sports pages and he had his pipe - burning home-grown today, admittedly, his ration of imported tobacco having run out some days earlier, but at least burning something - and he was surviving his sixth hour of keeping watch on a rooftop garden full of nectarines quite happily, when his mobile rang. It was the control room, telling him that what seemed to be a dead body had been found in suspicious circumstances in a suburban street not far from where he now sat. Since his blipper showed him as the nearest detective to the scene, was he available to attend? Obviously, he wasn’t; obviously, he could not abandon his fruit surveillance, and once he’d explained the nature of his current assignment, the woman in the control room understood that entirely. She apologised for disturbing him, and called the squad’s main office instead. Within ten minutes of the dead body being uncovered, therefore, two officers were hurrying to view it, having caught a bus from directly outside their Kentish Town headquarters which would take them to within a two-minute walk of the putative crime scene. There were other factors - food production, wildlife habitats and so on - but it was mainly because of their contribution to flooding that paved-over front gardens were now illegal. Fifteen square metres of hard-standing could produce a hundred litres of run-off per minute during a half-decent storm. The legislation had allowed for a two-year grace period, during which householders could re-green their gardens themselves, or get the neighbourhood committee to organise a work gang to do it, or get a grant from the community council to pay someone to do it ... and still some people’s front windows looked out onto tarmac instead of grass. Some were lazy or disorganised, some were privacy rebels. A uniformed cop stood four-square outside their destination, keeping back a crowd of gawpers which existed, as yet, largely in his imagination. Greg crouched by the trench dug in the paving. “That’s a dead body, that is,” he said, standing and nodding to Catherine to take his place. “Is it murder?” asked the constable. A mixed vegetable garden this time, rather than an orchard of dwarf fruit trees, but the same crime: crop theft. On the roof of a quadcycle factory only about half a mile from where Ginger Thom had been fruit-watching. How annoying. But how like life. Doyle’s nervousness was fighting with irritation now. “What does he know about coal-mining? Born and bred in bloody London.” He took his hat off, scratched his head, and replaced the hat. “Preferable to working nights, I suppose,” said Ginger. “Within the guidelines, certainly.” The thaw was over; Doyle was sounding distinctly defensive, now. “Oh, of course, Detective Constable: there’s a bloody law for everything, these days,” said the voice of the private sector. At the murder scene in Sudbury - he was already thinking of it as a murder scene, though of course Catherine was right, there were other crimes which might have resulted in this body under this hard-standing - Greg was nodding at, and being nodded to by, a cheerful young woman carrying a sleeping baby: the secretary of the Beech Lane street committee. The woman, of course; not the baby, even if it’d been awake. He thought the secretary of the street committee was right to be cheerful, present circumstances notwithstanding; it was a pleasant street, in what used to be a suburb, when things were a bit more centralised in that way, before what most people called “the Process” began smoothing and stretching the cities at least somewhat. The 1930s houses were solid, and set in decent-sized plots. When Greg was a kid, you’d have had thousands and thousands of these houses, ringing every city in the country, with often only one or two people living in each one. And all those nice big gardens, with hardly a vegetable amongst them. The road curved gently, and he could see, just about at the bend, a group of young children squatting in the middle of the road intensely concentrated on some sort of game. He wondered if, when these houses were first occupied, the traffic had been light enough for children to play in the road; in the 1930s? Perhaps. And then there’d have followed decades when you could barely cross the road, let alone play in it, and so to now: a fair amount of traffic, these days, but nowhere near as much as twenty years ago, and very little of it motor traffic. Not much of it so fast that a kid couldn’t get out of its way. All the same, there’d been a death not far from where his mother lived, just before Christmas, of a nine-year-old girl by a pony and trap. The driver hadn’t been drunk but, unbelievably, the pony had, and the driver would spend at least the next ten years doing community service. “A bit private?” Greg suggested. Greg smiled at her tone. When he was a lad, keeping yourself to yourself had been considered one of the great suburban virtues. There were two Loftys. At the moment, they were in a quadcycle, just passing Trafalgar Square. They were on their way back from something and on their way to something else, as people so often are. There were always two Loftys; this had been decided a good while previously, at Detective Inspector level. One Lofty was in his late twenties, the other in his early sixties. One was called Lofty because he was short, and the other was called Lofty because he was tall. One, in other words, was what might be called a “natural” Lofty, while the other could be described as an “ironic” Lofty. As luck would have it - and luck would, no matter anyone else’s feelings on the subject - both Loftys arrived in the Squad on the same Tuesday. Neither, it quickly became apparent, was willing to answer to anything other than Lofty - both having held the nickname since childhood, and neither feeling they should be the one to relinquish it - and so it had been decided that they should be known in the office as Big Lofty and Little Lofty respectively. It was the respectively bit that didn’t work. No-one, least of all the Loftys themselves, could ever quite remember - or quite agree - whether the Big and the Little had been applied naturally or ironically. Half the squad took it that Little Lofty was the shorter of the two - and the other half didn’t. Confusion over trivial matters can be very close to disastrous in a setting such as a Serious Crime Squad. And so (at least, this was how the story went), DI Wallace ruled that the two Loftys should permanently and invariably be paired together, as unbreakable working partners. That way, it couldn’t matter which one was which: whenever you asked after them or sent for them, you’d get both, so the one you wanted - if you happened to know which one you wanted - would reliably be included in the package. The Loftys, to use a slightly old-fashioned phrase, came bundled. This didn’t work badly. The apparent loathing between the two detective constables was, most of their colleagues believed, largely indulged in for recreational purposes. For the record, the young one was short and the old one was tall. “So why did you stop the quad, then?” The old one knew the answer to his question: Lofty had stopped the quad because - for all his disdain for modern Britain, and the Process, and for all his passionate, if sometimes not overly knowledgeable advocacy of a return to the good old days of free enterprise and individualism and the never-failing, self-regulatory perfection of the unflawed market - he was still an honest, loyal and ambitious police officer. He did not pick and choose which laws he enforced, and preaching in public was, undeniably, a crime; to be precise it was an Action Considered Injurious to Unity as laid down by the Agreement of the People. Freedom of religion was absolute in modern Britain, legally guaranteed, for the first time in the nation's history, so long as that religion was practised behind closed doors, in the home or in registered places of worship. Secularism in public - a term which included schools and workplaces, streets and parks - was, likewise, absolute; and, likewise, guaranteed by law for the first time. This was a country which had had enough of divisions caused by faith. It might be thought that it should have had enough some hundreds of years previously, but, at any rate, it had certainly had enough now. You could go quite fast in a quadcycle when both passengers were pedalling (less fast, in truth, when the two Loftys were on board since it was rare for both of them to be pedalling simultaneously) and being that the vehicle was, on such a calm day, roofless, conversation required raised voices against the noises of travel. Luckily, neither Lofty was a quiet speaker, either by nature or choice. The examiners from Scientific had arrived in their van, siren screaming - unnecessarily, in Greg’s view, and very probably illegally - much to the delight of the local kids. Round here, Greg supposed, they probably didn’t see a motor vehicle as often as once a week. The Commonwealth of Britain’s fuel shortage was not as extreme as in some of those countries which had failed, as yet, to make the kind of structural changes which Britain had made; even so, the exemptions which allowed petrol and its analogues to be used for various categories of person or purpose were becoming fewer all the time. They were becoming more precise, too; doctors could still drive to visit patients, for instance, but could not drive between their own homes and their surgeries. Greg’s son’s rugby team was no longer allowed to use a minibus to attend away fixtures which would take less than ninety minutes by public transport. “Greg - there you are.” DS Phil Kale leapt off his racing bike and marched over to the section of garden wall which Greg had chosen as his leaning post. He’d been leaning against it, smoking a roll-up, and running through checklists in his head. He stifled a sigh, now. The DI tried not to sigh every time Phil Kale marched up to him, because it really wasn’t fair: Phil was a decent bloke and an assiduous detective. It was just that bloody marching - his wiry limbs swinging, his scraggly, reddish beard bristling, his teeth grinding. Phil was a decade younger than Greg, but he had the worry-lines of a man two decades older. The marching always signified bees in bonnets. One bee in particular. “Oh, I see,” said Greg, stubbing out his cigarette and putting the dog-end into the little enamelled dog-end box his ex-wife had given him last Christmas. Phil muttered something that sounded suspiciously unlike a thank you, and turned towards his bike. Greg called him back. “The local’s just round that corner.” Catherine pointed, and they set off pubwards. Everyone liked talking to Bob Lemon, but nobody liked it quite as much as old women did. And another thing Bob wondered: why did old people always sound so disappointed when they talked about something being better now than it had been in the past? Was it because it undermined their nostalgia? They were both smoking their pipes now - home-grown, not proper imported tobacco; it was a long time since Christmas - and sipping their tea, Bob having eaten as many of the old widow’s biscuits as he felt decently able to. “As long as you’ve been baking,” said Bob. He sat and talked to her for a while longer because that was what he was good at, and every boss he’d ever had bar one had understood that Bob chatting to people was never a waste of time, even when - as in this case - it was basically a waste of time. “You useless sod,” said one of the Loftys to the other, as they entered the briefing room. “I’ve been promoted,” the other Lofty told DC Gerard Cochrane, who was setting out chairs. “You been promoted, Lofty?” said Gerard. “Your turn to buy the cakes, then.” Having placed seventeen chairs facing the dais, Gerard now began placing briefing notes on them. He’d been hard at it on the typewriter, and then on the hand-cranked duplicating machine, the last few hours; everyone attending the briefing would have whatever information they needed, assuming it was yet available. DC Cochrane was an acknowledged master of the organisational aspects of police work, and it was a mastery he was proud of. This was a craft he had studied and honed over decades, but there was another reason why he wanted his colleagues to know how good at it he was: he didn’t want them thinking that he did so much office work because, at the age of seventy-three, that was all he could do. Under the Agreement of the People retirement was available to everyone - including the self-employed - at the age of fifty, without loss of income. But it was not compulsory, and many people (though not all that many detective constables, it had to be said) chose to continue working. Workers could be compulsorily retired, from any job or calling, but only by a tribunal finding that they’d become unable to perform their tasks “solely or chiefly by reason of age.” No-one was going to say Gerard Cochrane couldn’t perform his tasks, from age or any other cause. He intended to keep working in the Squad until he was eighty-five, and then have a look around and see what he might fancy doing next. As no previous male member of his family had ever, as far as Gerard knew, survived beyond seventy, he reckoned he was doing all right. He’d joined the then Metropolitan Police in Hackney, in the 1970s. Some of the youngsters more or less fainted when he said that. They thought the 1970s, maybe, was when Queen Victoria died. Gerard missed almost nothing from those days, apart from striptease. In the pub they’d used as their local in the days when he’d first made plainclothes, there used to be strippers on at lunchtime. As a young near-virgin, he’d thought that was just about wonderful: for the price of a pint and a pork pie, bosoms and bottoms closer to your eyes than the dartboard was. You never saw strippers nowadays. It wasn’t that there was no demand, Gerard was pretty sure of that; more likely, there was no supply. The bosoms and bottoms of today had better things to do with their time. He didn’t ask what one of the Loftys was being useless about. He had no objection to their double act, but he reckoned they could manage it without him. Instead, seeing Bob Lemon had turned up, he took him over a cup of tea and told him there was someone he ought to meet. Sitting in the nearest thing to a corner that this largely non-angular room possessed, was a girl, or young woman - Gerard hadn’t decided yet - reading one of the duplicated bundles of briefing notes with great attention, and wearing a big windcheater which she showed no inclination to remove or even to unzip. She had very black skin, was a bit blushy and very pretty, and healthily plump. Erin laughed, and beyond Bob’s eye line, Gerard winked, approvingly. She didn't look like a girl who minded laughing politely, or found it difficult, but her potential embarrassment must surely have been increased by the fact that this was the third time she had heard the same joke within Gerard’s hearing. “Are most of the school-leavers in your year doing work-sampling, Erin?” he asked now. “Honestly?” Bob’s round face lit up with delight. The detective inspector yielded the floor to the glamorously grandmotherly civilian who had worked as the Squad’s office manager for more than a decade. “Do you want a bit of cake with that tea?” she asked. “Are the current occupants suspects?” asked Ginger Thom. “What does Kim Nottle do?” asked a DC. “Sir,” muttered both Loftys, in perfect sync. “Are you thinking it might be a one-off?” Greg asked. He met Greg’s eyes, and the DI knew what was coming next. “Right,” said Phil, shoving his notes into his pocket, and ramming his unlit pipe between his teeth. One Lofty wouldn't drink at the Crown, because it was privately owned. The other Lofty wouldn’t drink at the Ernesto Lynch because it was a co-op. No-one seriously believed that these were stances born of genuine principle - apart from anything, no-one seriously believed that either Lofty was that bloody stupid - but in the interests of a quiet life, the Squad drank at the Coach, because nobody knew who owned it and, so far, no-one had been daft enough to ask. The sandwiches laid out in the smoking room, ordered in advance by Jade, came in three flavours: mutton and mustard; cheese and sweet pickle; vegetable slice. Ginger Thom - who wasn’t nearly as obsessed with the Home Front during World War Two as his colleagues believed, but was in fact a passionate reader of anything written in or concerning Britain in the 1940s - always referred to the latter as “Victory Spread.” Catherine Blake, apparently the only member of the Squad who caught the reference, said it didn’t work as a joke, because the vegetable slice was in fact very tasty. It was certainly true that those sandwiches went first, but that was at least partly because few people under the age of twenty could get used to eating mutton. The cheese was good, but the pickle was pretty awful. There was an art to making pickles, as well as a science, which was why it formed part of the core curriculum in all schools. In the days of food shortages, Catherine had been the mother of two teenagers. Like so many, she had quickly relearned the skills of her grandmother’s time. Making sub-standard pickle - let alone having the nerve to sell it - was unforgivable, and she would make sure Jade put in a complaint. The mutton wasn’t going to waste, though. Erin Smee - being the sole present representative of a generation which considered it to be a food fit for humans - was tipping the sheep sandwiches down her throat in the way that only seventeen-year-olds can. “Was it a carp pond?” Ginger asked the Loftys. “Because they’re disgusting, perhaps?” suggested Bob Lemon. Over the last few years, farmed carp had become one of Britain’s main sources of meat. Being low in their food chain, carp were highly efficient producers of protein: their output to input ratio was guaranteed to put a smile on any agronomist’s face. But the fish was a taste which many struggled to acquire. Carp farming had been very widespread in Britain in the middle ages, but the coming of the railways had meant that more palatable, salt-water fish could be sold across the country without going off, or needing preserving. But now - with falling sea stocks, the general unreliability of imports, and the fact that most other farmed fish were fed on fish - carp’s unfashionable status had been repealed. “You’re not a stickie, though?” asked Erin. Unproductive land was unimaginable, when you lived on an island in a world of unpredictable international trade and frequent global shortages. Meat-eating on the grand scale was clearly an unsustainable bad habit, best left behind in the twentieth century, but there were areas of Britain where the only crop that could be realistically raised was sheep. Beef had been banned by national referendum some years earlier: cow meat was not cost-effective to produce, and was highly polluting. Dairy herds were being slowly phased out, and in the meantime cow’s milk was rationed to the point of rarity. Cheese was considered an essential food - but cow’s cheese was rationed, while that from ewes and goats was not. Goat milk in particular was a ubiquitous food, goats being relatively low polluters, willing tenants of sub-prime land, and good recyclers of vegetable waste. Food and land: even more than energy and water, these were the two great British preoccupations of the age. Before the Process began, almost all British arable land was used to grow feed for livestock, not for humans; and even then, huge amounts of animal feed had to be imported, much of it from countries that were unable to feed their own human populations. Now, people were encouraged to keep chickens and pigs privately - as their ancestors would have done, a century earlier - and Backyard Husbandry was another compulsory school subject, from which only vegetarian children could opt out on grounds of conscience. Anything home-grown was completely off-ration: meat, fruit, veg, honey, eggs, anything. If you grew it yourself, you could eat it until you exploded - and if you chose to sell your surplus, the resulting income was untaxed. It was a modified version of a system pioneered in Latin America at the turn of the century. Bob’s gaze met Catherine’s. He closed his eyes for second and gave a bemused shake of the head. She smiled back at him, and shrugged. At the end of a long day, neither of them had the energy left to untangle the concept of existential teenagers giving up meat in order to demonstrate their alienation from their elders’ attempts to save the planet. Greg could just about taste that pint, but Phil Kale was not an easy man to shake off when he was trying to make amends through small talk. It was one of his more endearing - and more irritating - habits. If he thought he’d rubbed you up the wrong way, he’d seek you out at the first opportunity and talk to you about the weather, or the football, until he was confident that you’d been smoothed down again. “I haven’t quite got round to it, Phil, no.” It wasn’t only his thirst that was worrying Greg; if he didn’t get to the pub soon, he knew perfectly well that the only sandwiches left would be mutton. “You’re automatically entitled to one, you know, now that you - ah - now that you’re ... well, while you’re currently living in a solo unit.” He took his pipe out of his pocket and tapped its stem against his teeth. “Oh, well - that’s nice,” said Phil, giving him an encouraging smile. My collection of SF stories, SO FAR SO NEAR, long ago sold out in paperback & hardback - but is now available as an e-book.